Oak and beech; cherry, pearwood and walnut; maple and tropical woods: Quick-Step guarantees you a floor that matches your personal taste and style perfectly. The beauty of a Quick-Step floor is it will last for years to come. 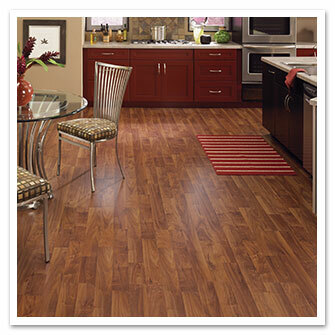 When Mohawk's designers wanted to create beautiful floor coverings, nature inspired the laminate flooring. Carefully mimicked, Mohawk laminate flooring takes naturally occurring patterns and painstakingly replicates color tones and hues of seasons. Perhaps you’ve experienced it. You walk into a room and you’re taken aback. There, in front of you, a perfect combination of style and hue. An impeccable blending of flooring to décor. Stunning. Captivating. Designed just right in every sense of the word. Fashionable. Functional. Timeless. Exactly the essence of Formica Flooring: True Beauty. Never Fades. Kraus offers an exceptional line of traditional and exotic laminate wood styles. This laminate floor is made out of very durable material that provides superior durability and the look and feel of real wood. Not only is it affordable, low maintenance it will make your family and friends envious.